October 27, 2018 the U.S. Food and Drug Administration (FDA) approved Xyrem (sodium oxybate) for the treatment of cataplexy and excessive daytime sleepiness (EDS) in pediatric patients (7 to 17 years old) with narcolepsy. Xyrem is a central nervous system (CNS) depressant that was approved in 2002 for the treatment of cataplexy in adult patients with narcolepsy. Cataplexy is a sudden and transient episode of muscle weakness accompanied by full conscious awareness, typically triggered by emotions such as laughing, crying, or terror. 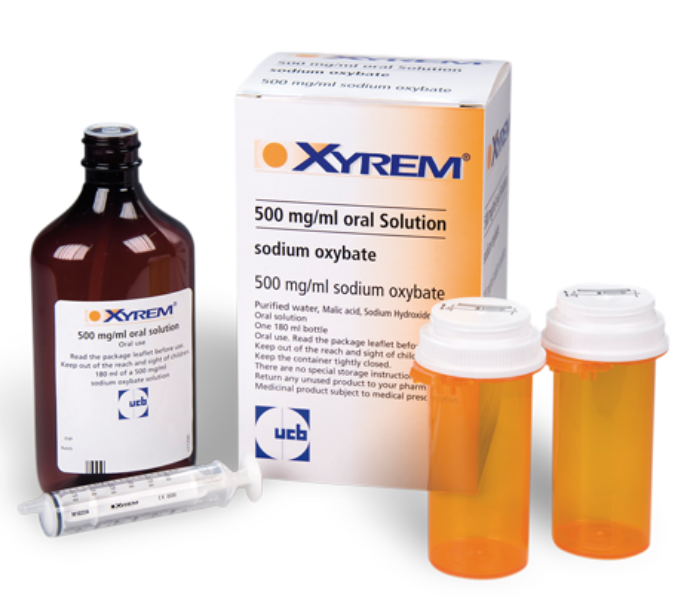 Xyrem either alone or in combination with other CNS depressants may be associated with adverse reactions including seizure, respiratory depression, decreases in the level of consciousness, coma, and death. The rapid onset of sedation, coupled with amnesia, particularly when combined with alcohol, has posed risks for voluntary and involuntary users (e.g., assault victims). Xyrem is contraindicated in patients being treated with sedative hypnotic agents and in patients with succinic semialdehyde dehydrogenase deficiency. In addition, patients should not drink alcohol when using Xyrem. Succinic semialdehyde deficiency is a rare inborn error of metabolism variably characterized by mental retardation, hypotonia, and ataxia. The most common adverse reactions in pediatric patients were enuresis (bed-wetting), nausea, headache, vomiting, weight decrease, decreased appetite and dizziness. The following adverse reactions have been identified during post-approval use of Xyrem. Because these reactions are reported voluntarily from a population of uncertain size, it is not always possible to reliably estimate their frequency or establish a causal relationship to drug exposure: arthralgia (joint pain), decreased appetite, fall, fluid retention, hangover, headache, hypersensitivity, hypertension, memory impairment, nocturia (excessive nighttime urination), panic attack, vision blurred and weight decreased. Because of the risk of serious outcomes resulting from inappropriate prescribing, misuse, abuse and diversion, Xyrem is only available through a risk evaluation mitigation strategy (REMS) programs. The FDA granted this application Priority Review designation. Xyrem also received Orphan Drug designation, which provides incentives to assist and encourage the development of drugs for rare diseases.